Chelsea is a Portland, OR based pet photographer, capturing the heart and playful soul of our loving four-legged friends. With her passion for photography and genuine love for animals, she creates documentary images that convey the personalities of her clients’ pets to be cherished for years to come. Chelsea is currently attending the Art Institute of Portland pursing a BFA in Photography & Design. She will be graduating by Fall 2015. Chelsea loves her beloved Yorkie Pomeranian Mix dog named Snickers. Chelsea grew up in a small town in Southern Oregon; Grants Pass. Her love of photography started with her families dog named JJ, who is now deceased. Her grandpa was a cartoonist for many years, and her mother was a Graphic Designer and now is a Mixed Media artist. With an artsy family background, Chelsea decided to go into the Art world to continue the family gift. 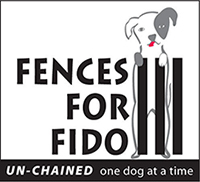 Along with photographing pets, she is also an volunteer photographer with Fences For Fido, Best Friends Animal Society, and has contributed to the Portland’s Doggie Dash.